Rarely do you come across a product that looks nice and appealing. 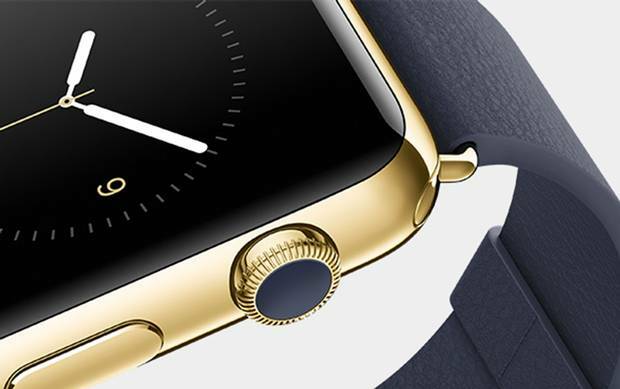 Apple announced the Apple Watch during it's special September 9 event - in classic Apple style they made it look elegant and appealing and surely drive the many in the world to scream "shut up and take my money". On the surface it looks like a compelling competitor to the Moto and Samsung variants - but at what cost will there be to even have one of these? First of all - you have to wait. "Coming Early 2015". They have some great mouth watering films explaining the elegance, design, collaboration with experts and what it took to build such a unique masterpiece (cough) - but behind all the marketing there is in fact some interesting lessons other wearable and smart watch manufacturers could learn from with this device; tech isn't everything. I particularly like the use of the accelerometer to activate usage and the unique interaction paradigm using the "digital crown" of the watch - very much in line to the classic "iPod Wheel" to give precise interaction and control. The touch screen adds a third dimension, specifically pressure force and haptic feedback that can introduce new innovative interactions techniques. It is the first device from Apple to capitalize on the HealthKit developer API introduced in iOS 8 to start to competitively push out the likes of Jawbone Up, Nike+ FuelBand and Fitbit in classic Apple style as they have done many times over the years with squishing the developers who actually did the innovation and community awareness in the first place. If the Apple Watch was to have either a SIM card, WiFi module or even BlueTooth module to pair with any mobile phone and remove the dependency of using an iPhone running iOS 8 - then I could consider the watch as something I would purchase and wear proudly. Until then, forget it - I am simply not ready to give my soul and pride to the devil for a watch.